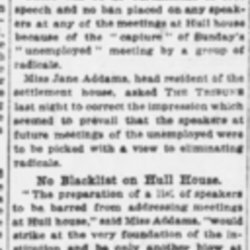 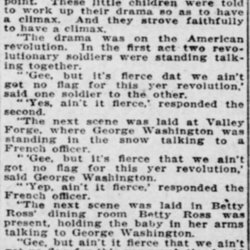 Subject is exactly "Hull-House, events"
Addams avows that there is no "blacklist" for speakers at Hull House, denying a rumor that radical thinkers were not welcome. 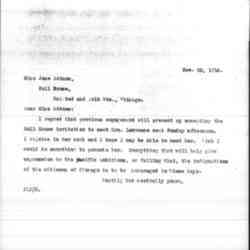 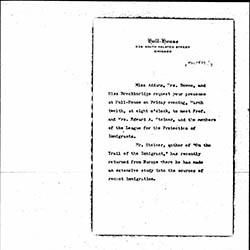 Jones cannot attend a meeting with Mrs. Lawrence at Hull-House. 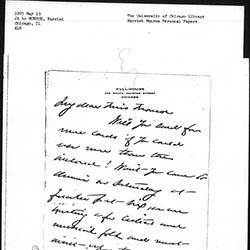 Addams thanks Tarbell for her involvement with the Fuller singers performance at Hull-House and asks if she has heard anything from the Outlook. 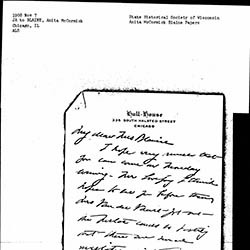 Ely suggests to Addams that Professor Kühnemann lecture on Tolstoy at Hull-House. 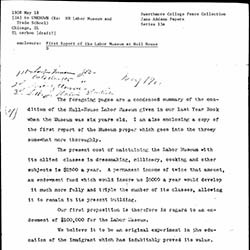 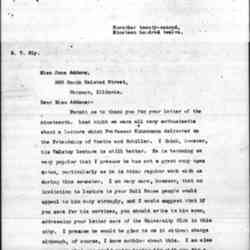 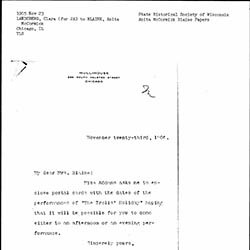 Addams accepts Ely's suggestion to have Professor Kühnemann give a lecture onTolstoy at Hull-House. 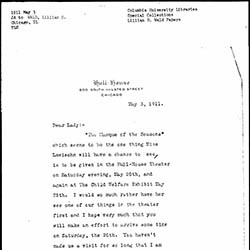 Breckinridge accepts Addams' invitation to a dinner at Hull-House. 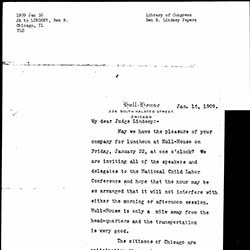 Addams invites Breckinridge to attend a dinner at Hull House for special guests. 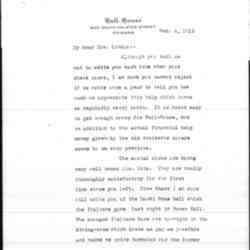 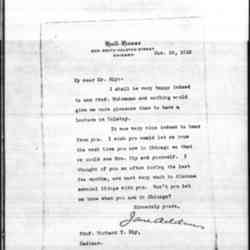 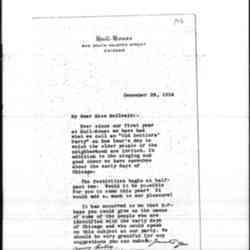 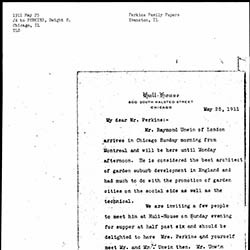 Addams invites Perkins to Hull-House to hear Raymond Unwin speak. 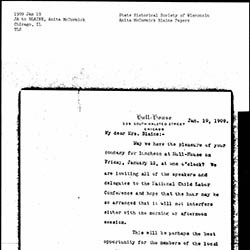 Addams invites Blaine to a Hull-House luncheon. 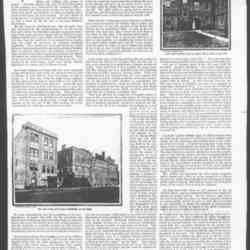 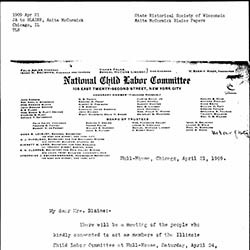 Addams reports on the Hull-House Labor Museum's condition after six years of operation and encloses the First Report on the Museum. 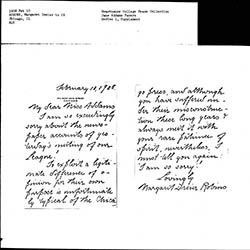 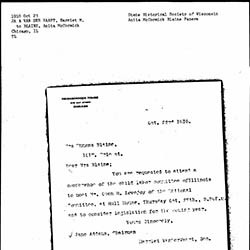 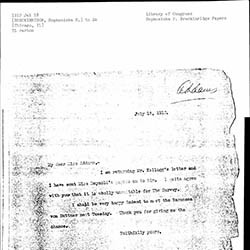 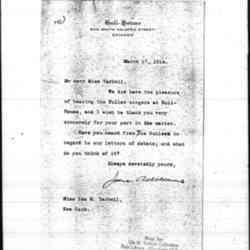 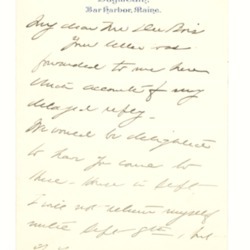 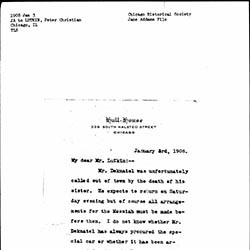 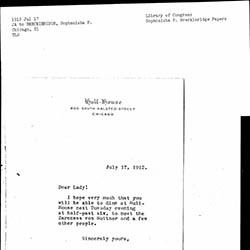 Addams writes Lutkin to inform him of Frederick Deknatel's absence due to the unexpected death of his sister. 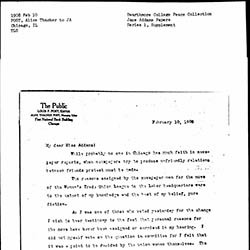 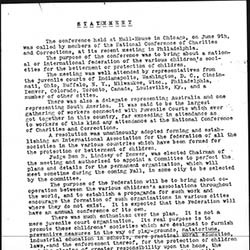 Statement on a conference held at Hull-House. 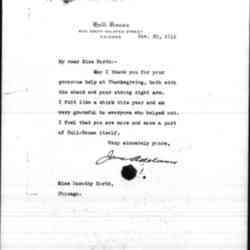 Addams invited Blaine to "The Trolls Holiday" a performance at Hull-House. 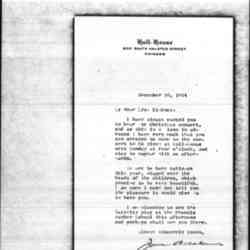 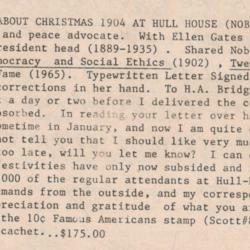 Addams sends cards and invites Monroe to attend a Hull-House dinner of artists and musicians.